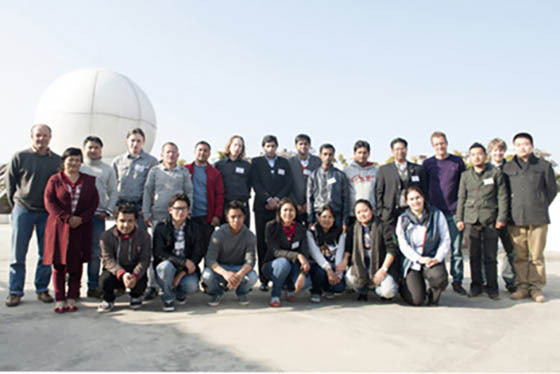 A workshop on geodetic mass balance assessments was conducted from 27 to 31 January 2014 at ICIMOD headquarters in Kathmandu. The workshop, organized with financial support from the United Kingdom Department of International Development, was coordinated by Dr Joseph Shea of ICIMOD, and led by Dr Tobias Bolch, an international expert in geodetic mass balance studies, who is also affiliated with the University of Zurich and TU Dresden. 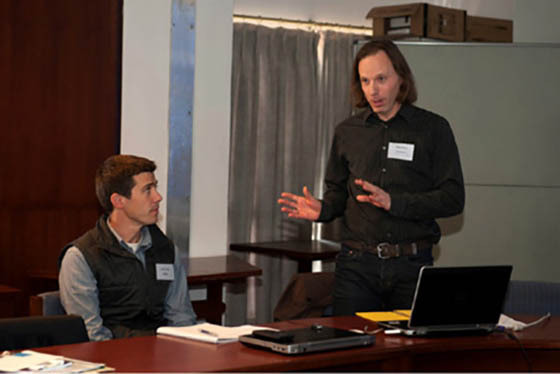 Dr Bolch and his two PhD students from TU Dresden, Tino Pieczonka and Nicolai Holzer, provided specialized training for regional partners and ICIMOD staff on geodetic change assessments in the Himalayan region. The use of remote sensing imagery for estimating glacier volume change is an increasingly important tool for glaciologists. In the Himalayan region in particular, where field access is extremely difficult, the geodetic approach provides critical information on glacier volume change in inaccessible regions. It provides important information on spatial and temporal variability of glacier change, and can be used to link glacier change with hydrological and climatological datasets. The training workshop, therefore, focused on the theory behind geodetic change assessments, the opportunities and the limitations of such research, an introduction to the tools and software required to conduct such research, and hands-on demonstration of geodetic change calculations. Sixteen participants from six regional member countries (Afghanistan, Bhutan, China, India, Nepal, and Pakistan) attended the workshop on geodetic glacier mass balance assessments. 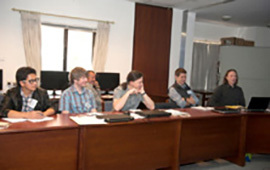 Participants received theoretical lectures and instruction in topics such as overview of the uses of geodetic mass balance, stereophotogrammetry, ground control, DEM generation, DEM accuracy and co-registration, density assumptions in geodetic mass balance calculations, and limitations and future directions. 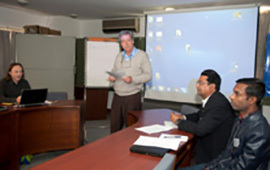 The participants also received extensive hands-on training using real data for the Shimshal Valley in Pakistan. The exercises developed for the workshop introduced participants to the use of remotely sensed imagery for calculating geodetic glacier mass balance. 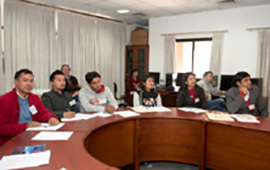 Software such as ArcGIS, PCI Geomatica, and Erdas Imagine LPS were used by the participants in the course. Exit surveys showed that participants found the course to be very useful and indicated that the skills gained will be applied in their home institutions.